Description: Test your skills with this awesome fun and exciting Fire Rescue Challenge. 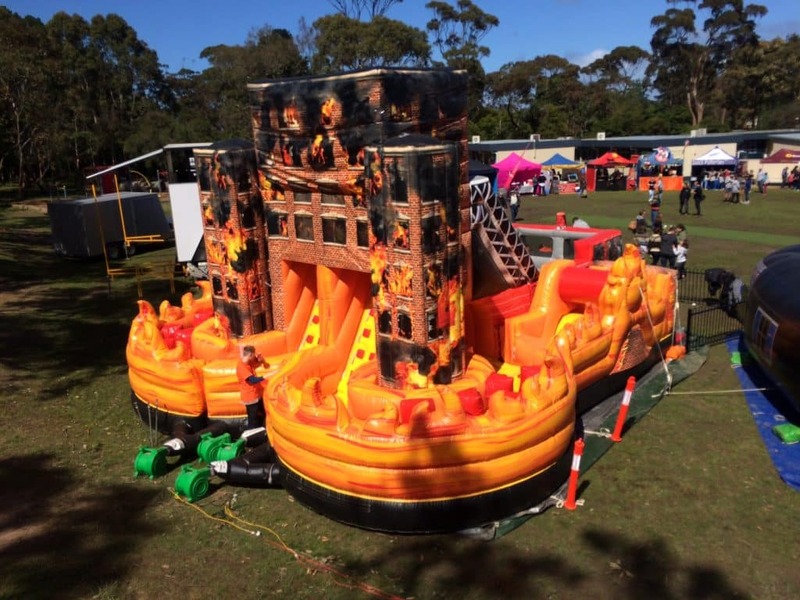 This Fire Rescue themed inflatable Obstacle Challenge has a Giant slide with obstacle course attached. 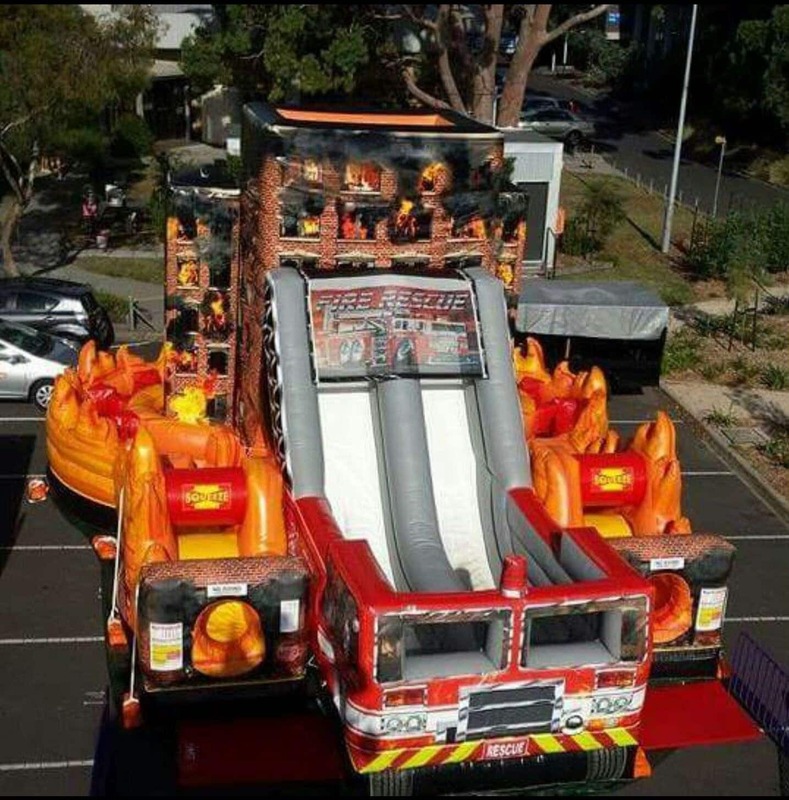 Enter through the sides, squeeze through the tunnel, race around the obstacles and climb the ladder to go down the slide.